FMF/RPM/KTM Racing Team Maxxis has confirmed their 2018 team riders and it is an interesting lineup. 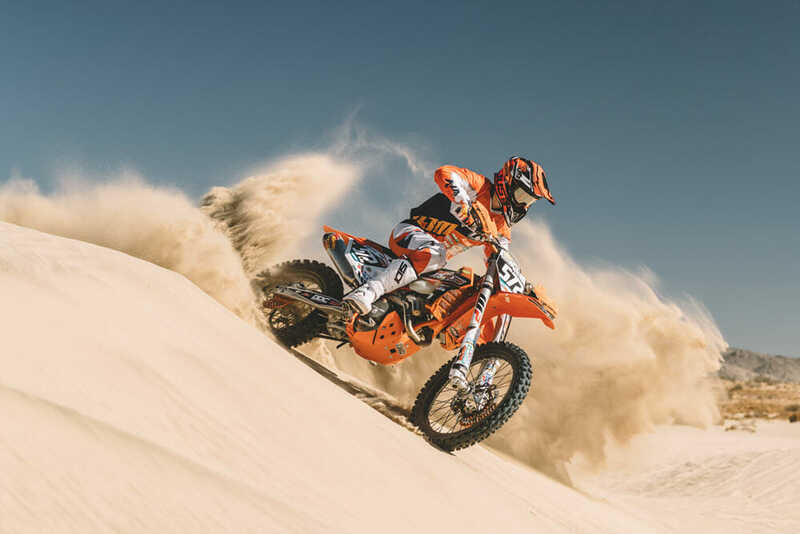 The RPM team has served as a feeder program to the FMF KTM Factory Racing team but has earned several prestigious championships along the way. Maria Forsberg will be back in 2018 as a part of the FMF/RPM/KTM Racing Team Maxxis. 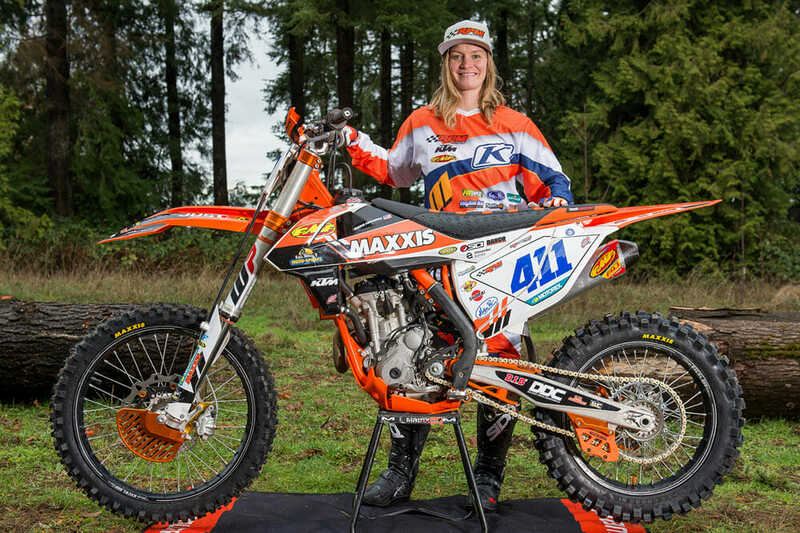 Maria Forsberg – Hahn, the multi-time WORCS, GNCC and X-Games Women’s champion will return to the team after a few years off to start a family. Her family is complete with 2 young children and a very supportive husband. Maria still has that drive to race and compete. Maria and FMF/ RPM/ KTM Racing Team Maxxis started together in 2001.
Cooper Abbott has joined forces with FMF/RPM/KTM Racing Team Maxxis for 2018.
Cooper Abbott joins the team in 2018 and will compete for the EnduroCross title as well as the WORCS Pro 2 Championship. Cooper comes from a family with a great racing heritage and shows the same winning signs as his father and grandfather. Eric Yorba is back with FMF/RPM/KTM Racing Team Maxxis for 2018. Eric Yorba will return to the team for 2018. He is a two-time AMA Big 6 and former WORCS Pro 2 Champion. Yorba will compete in the WORCS Pro championship as well as aim to regain the championship title back at the AMA Big 6 series. Dante Oliveira will also be back with FMF/RPM/KTM Racing Team Maxxis for 2018. Dante Oliveira will also return to the team for 2018. 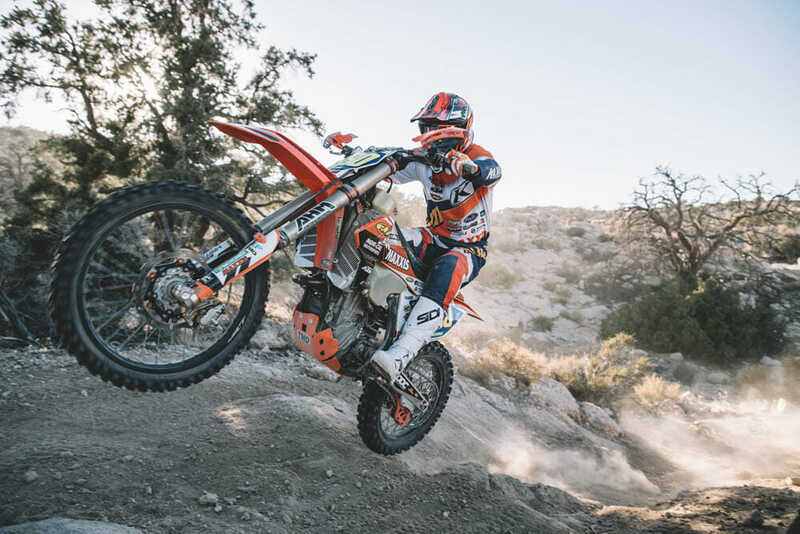 Oliveira will move up to the WORCS Pro class and hopes to carry the momentum he had the last two years winning the WORCS Pro 2 Championship in 2017 and the WORCS Pro 2 Lights Championship in 2016. Dante will compete in the AMA WHS and hopes to use his experience as the 2016 AMA WHS 250 Pro Champion to run up front in the Open Pro class. Jesse Ansley will be aiming for the GNCC XC3 championship in 2018. Jesse Ansley will be back for another year with the RPM Team. 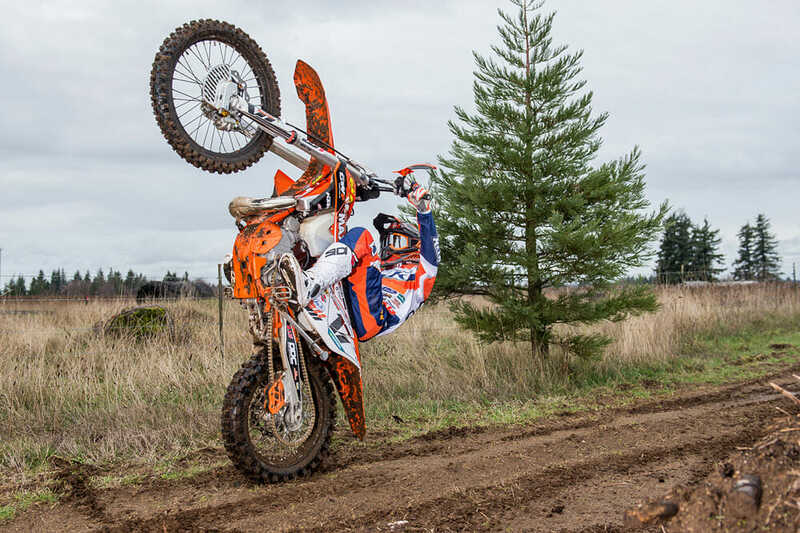 He will compete in the GNCC XC 3 class as well as compete to gain experience in the AMA National Enduro series. Ansley won the GNCC Super Mini Championship in 2015 with RPM as well as the 125 A Championship in 2016. Some nagging injuries in 2017 held him back to a 4th overall in the 250 A GNCC Championship chase. Canada’s Spenser Wilton showed good speed in 2017 and will join FMF/RPM/KTM Racing Team Maxxis for 2018. Spenser Wilton is a former Canadian Amateur Motocross and off-road champion from Alberta. 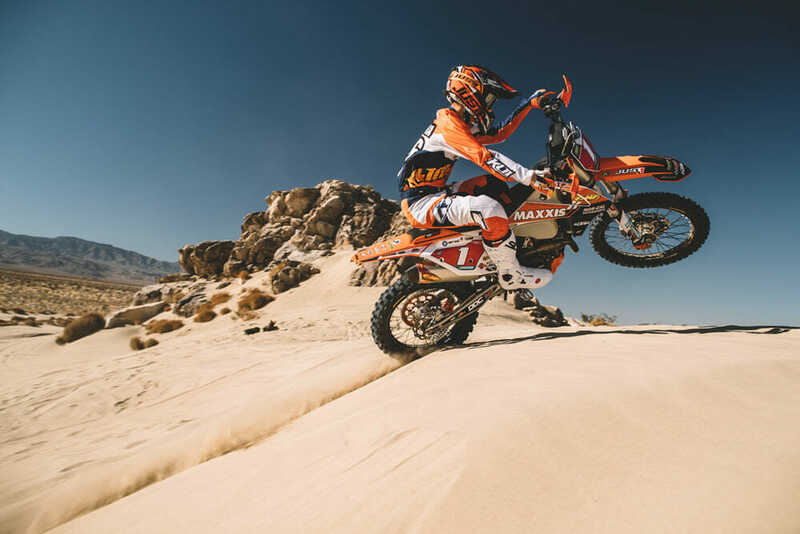 During 2017, his first full year as a pro in the AMA EnduroCross series, he qualified for multiple main events finished 17th overall. Wilton is going to race all the EnduroCross events and all the new AMA Extreme Off Road events in 2018. Austin Serpa will compete in the WORCS Pro 2 and AMA Big 6 Pro 2 Championships in 2018. Austin Serpa, a Carson Nevada native finished 2nd in the 2017 WORCS Pro 2 Lights Class. Austin is a podium contender at all the races he competes in. He will be tasked with the duty of winning the WORCS Pro 2 Championship in 2018 as well as the AMA Big 6 Pro 2 title. 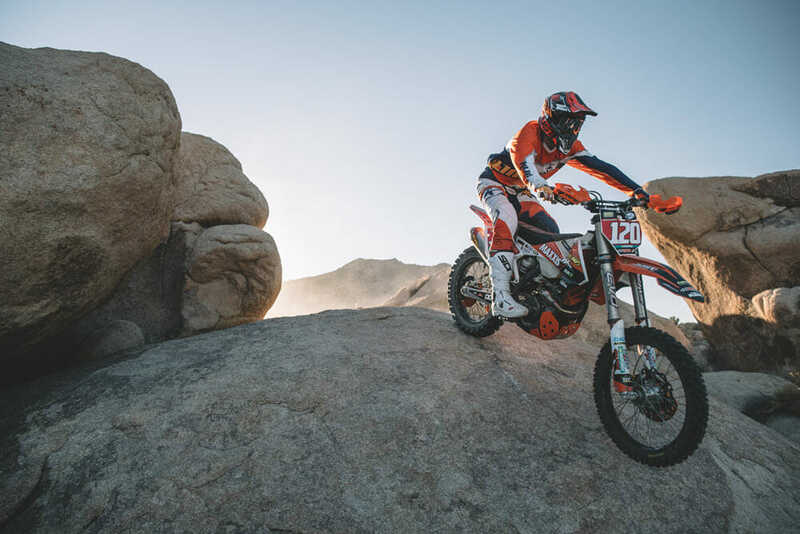 Destry Abbott – “Cooper and I are beyond excited to be on KTM’s for the future. I’ll be working as an ambassador for KTM with my own individual sponsors and Cooper will be racing for the FMF/ RPM/KTM/ Racing Team Maxxis. I’m 100% behind the RPM Team and helping the riders out with DA8 Training as well as cross promoting each other for continued success. The RPM Racing Team along with owner Mike Hurlbert and all the team riders are also going to help promote our DA8 Strong Foundation charity work. Which is a win win for all involved! I have known Mike Hurlbert for a long time and have always had a lot of respect for what they are about as well as their rider development. I know Cooper is really looking forward to 2018 and being part of the RPM KTM Team. He knows he’s on amazing bikes with great sponsors and support”. Team Owner – Mike Hurlbert: “What a great line up for 2018. We are so excited to get out and compete with this awesome group of riders. Thank you to all our sponsors, friends, fans, family and supporters. Special thank you to all the hardworking race series promoters, course workers, and the AMA for all the events we love to compete at”. RPM Racing Team is sponsored by KTM, FMF, Maxxis Tires, KLIM Gear, Sidi Boots, JUST 1 Helmets & Goggles, Motorex, Motion Pro, Specbolt, TM DesignWorks, Engine Ice, HBD Moto Grafx, Fastway/Pro Moto Billet, Seat Concepts and Alexander Exhibit. The Team also receives support from: Acerbis, AME Grips, Arc Levers, Bullet Proof Designs, Brake Tech Rotors, Champion Tool Storage, Costa Rica Unlimited, DA8 Training, D.I.D., DP Brakes, DT1 Filters, Danco Performance, GPR, Hammerhead Designs, Hot Cams, Hot Rods, FPS Radiators, IMS, Leatt, Mass Brothers, Matrix, Pivot Works, Nihilo, Pro Taper, Rekluse, Shorai Batteries, SKF, WP Suspension, Vertex Pistons. KTM Dealer Support sponsors are Carson Motorsports, NorCal Motorsports, Central Florida Powersports and Mt. Baker Moto-Sports.